If Nvidia’s recent graphics card announcement hasn’t got you excited, you’re probably an AMD fan. While we might not be expecting new AMD cards for a while, you can console yourself by getting a pretty awesome 1080p FreeSync monitor at a great price. 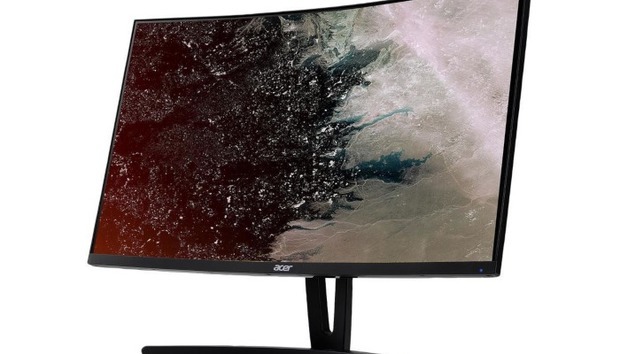 Newegg’s got the 27-inch Acer ED273 Abidpx curved 1080p monitor for $200 with the discount code EMCPXRE33Remove non-product link. This display has an MSRP of $300 and is currently selling for $220 at Amazon and Newegg (sans code), so you're saving about $20 off the usual price. The sale ends Monday, August 27. This monitor has an 1800R curvature, and is “frameless” meaning the side edges and tops are super thin. This allows for less distraction from the object you’re viewing, as well as reduces visual gaps if you combine monitors. It has a 144Hz refresh rate, a 4 millisecond response time, and a 178-degree viewing angle. For ports, you’ve got DVI, HDMI, and DisplayPort. This is a fine looking monitor at a solid price, especially with FreeSync included. AMD’s variable refresh rate technology means the monitor syncs with compatible graphics cards to reduce stuttering and screen tearing for a smoother gaming experience.